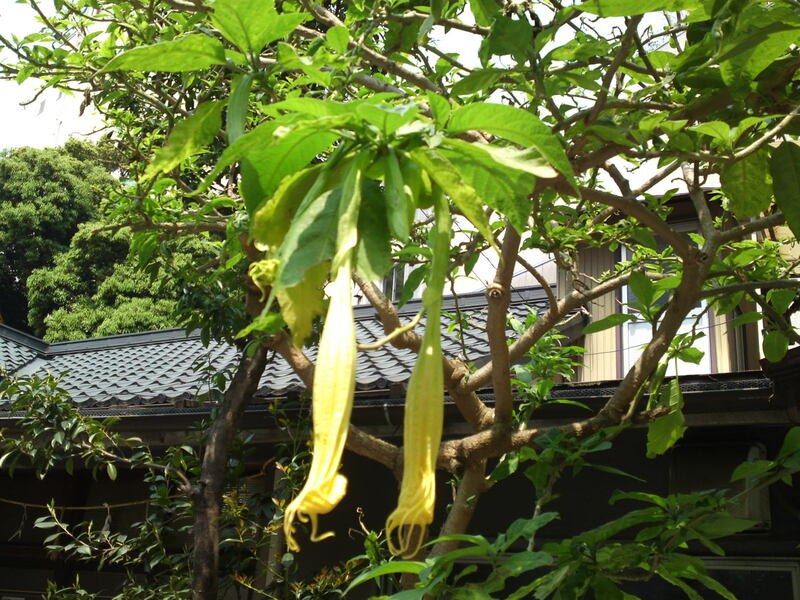 Angel Trumpets in Shizuoka City: Beautiful, but Beware! Some flowers, like many other plants, might be beautiful and enticing, but very often it is a good idea to admire form a distance! 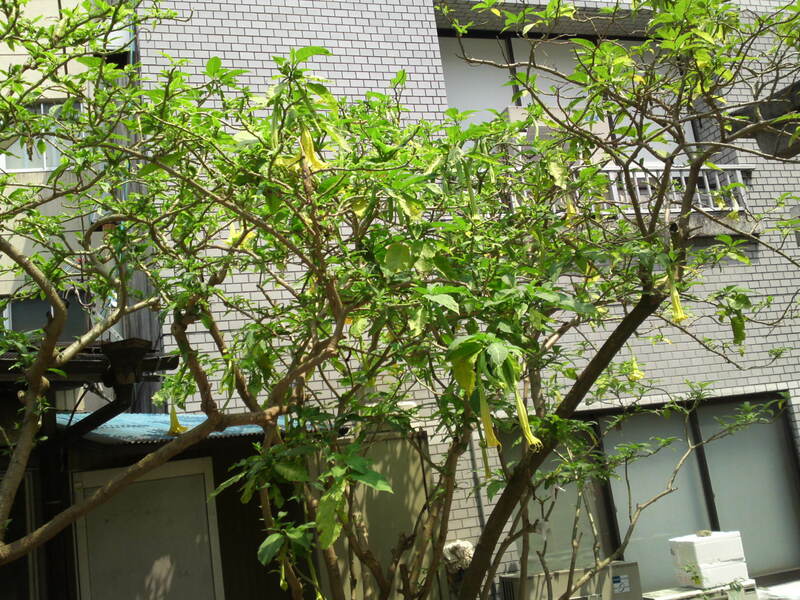 This flower does have a great name, at least for religion-conscious people: Angel Trumpet! But in fact it has little angelic about itself! 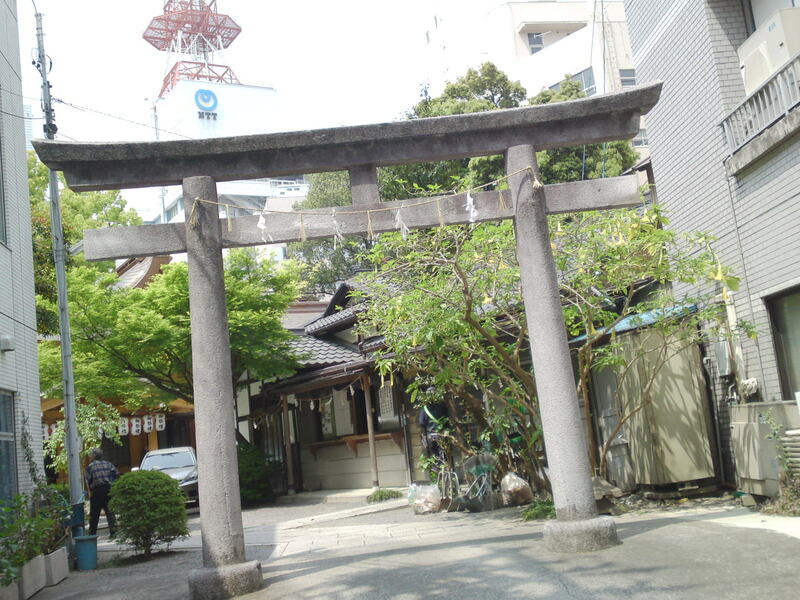 There’s a small Shinto Shrine across from Parco Department Store in Aoi Ku, Shzuoka City, called Kogisho Shrine, famous in town for housing regular flea markets and other events, although it is also notorious for its use by smokers who should have a look at the back entrance where the above small torii gate stands! 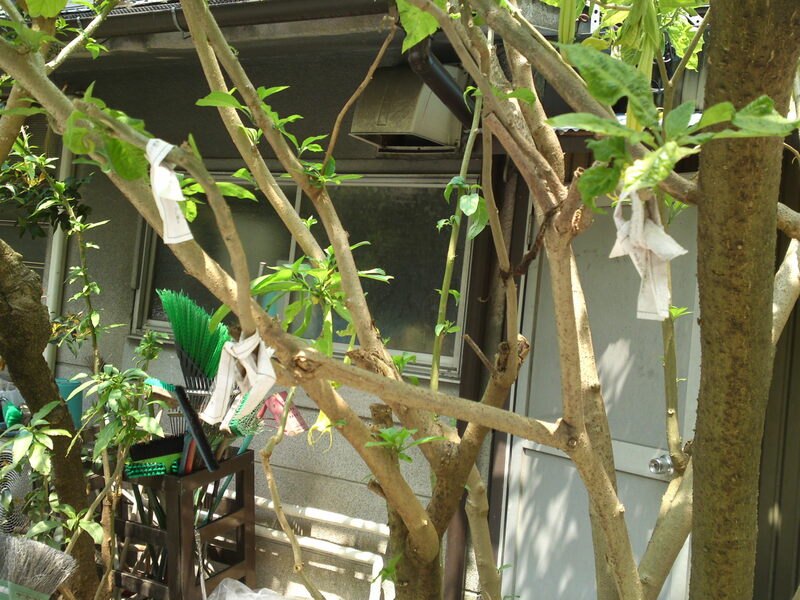 They will find this flowering tree just behind the torii gate on the right! Local worshipers use the tree for motive messages! 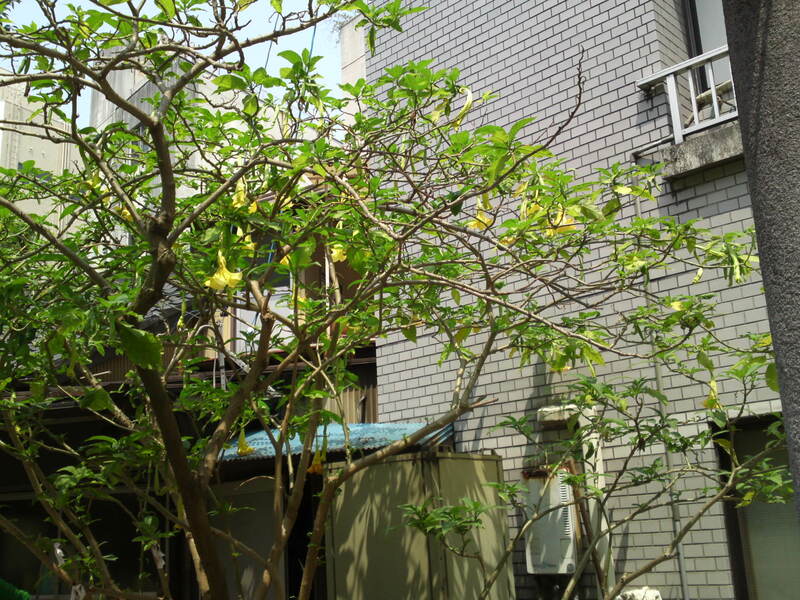 My impression is that it is used more or less to hide the drab neighborhood! 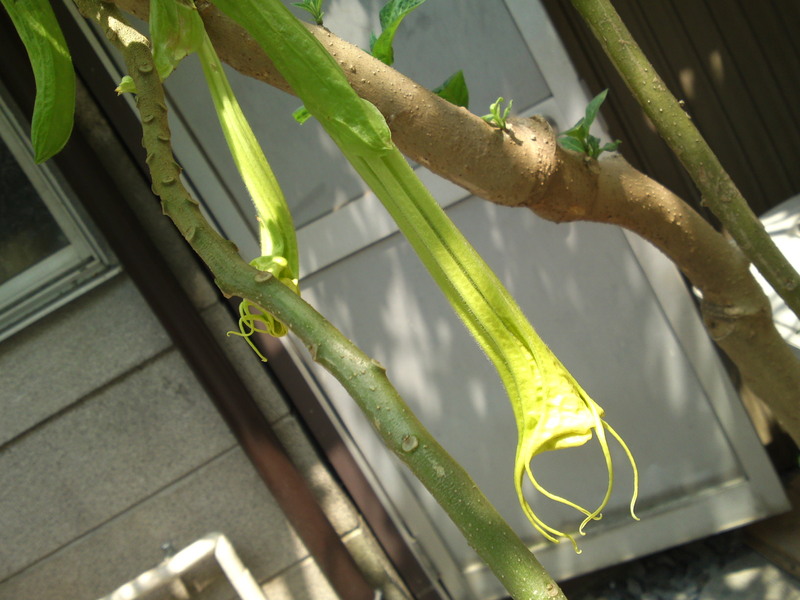 These long unopened blossoms do look like long yellow cigars! 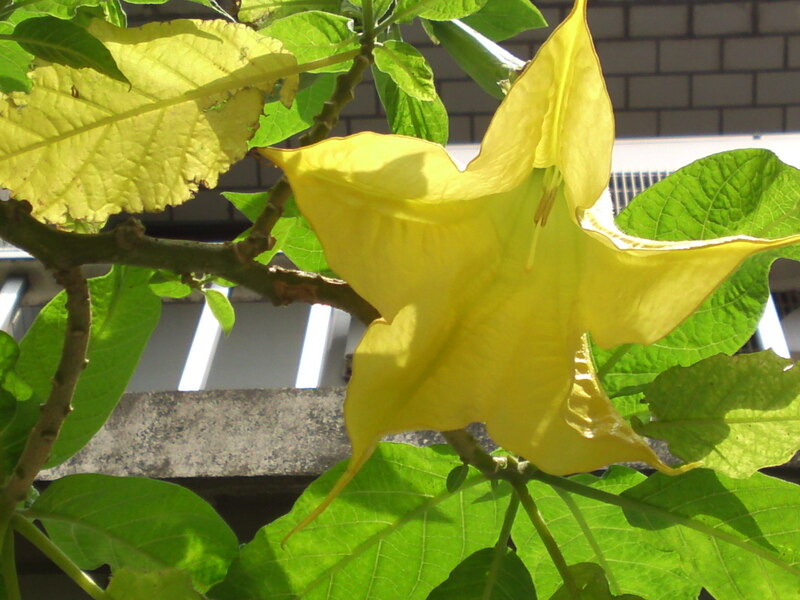 You will find out that although they are used as medicine in some places, the whole plant is poisonous!! Still, the flowers are beautiful!